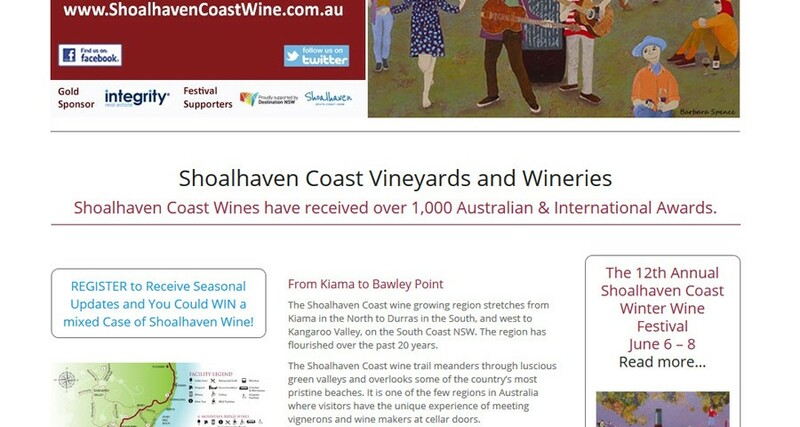 The Shoalhaven Coast Wine Industry Association website features all wineries of the region. 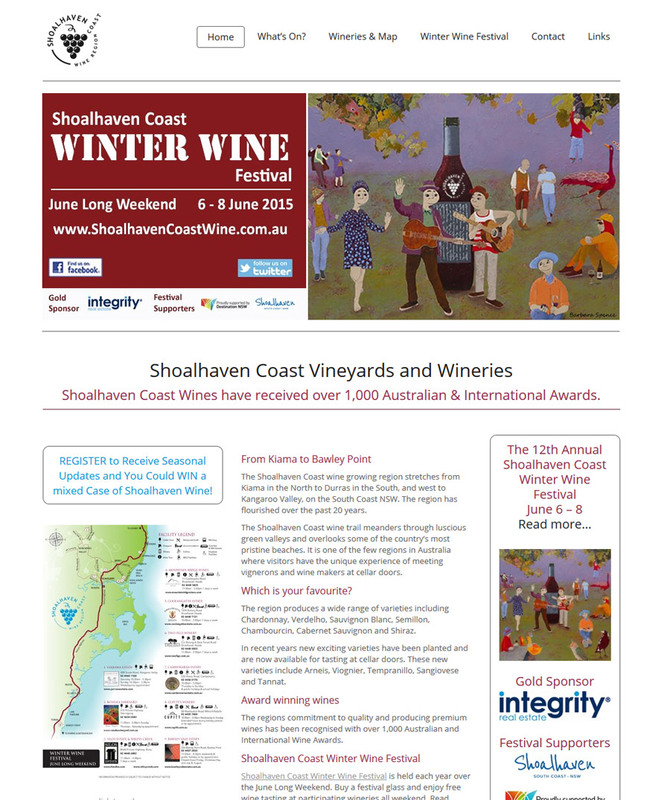 The association holds an annual wine festival during which time frequent changes are required to the website. Challenge with association type websites is that association members seem not to agree on look and functionality, which leaves the webdesigner in a difficult position. Gladly we have managed to navigate the challenges and are able to provide a low cost service to the association with “on-call” support whenever changes or edits are required.